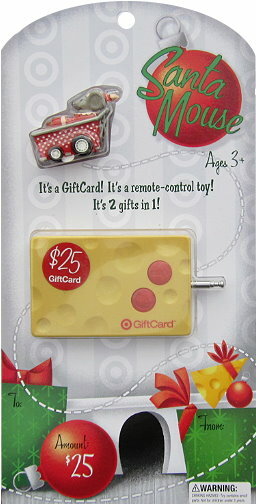 I could really use this gift card this year! Christmas is fast approaching!!!!! This would be so great to win! thanks for the chance! Love Target! Thanks so much! I love the look of that giftcard! Would like to see this go to someone in need of it! This is a great giveaway every time you do it! I leave by your site!!!!!!!!! I HAVE ALREADY “LOVED” TOTALLY TARGET ON FACEBOOK!!!!!!!!!!!!!!! Thanks for the giveaway! How fun! Love this site. My grandsons will have a hard time getting this toy away from me!!! Happy Holidays!! I like you on Facebook as Kipper Jo. So excited! I would love to win a target gift card! I like you on fb! Thanks for this chance. Adorable!! I can never find these cute ones!! thanks! I like TT on FB too! i love target and this site! I already follow you and like you on Facebook! 🙂 love your blog!! And my 2nd entry per rules 🙂 Also, I got the Elmo toy deal you posted about. It was on sale, used my coupon, and got the gift card!! Awesome!! And they had little cabbage patch kids dressed on animal outfits on sale and used my 25%coupon, plus sing-a-ma-jigs were on sale and used my 25% coupon as well, those ended up being $4.30!! I LOVE following your money saving tips! Yay!! Love this giveaway…hope I win! !